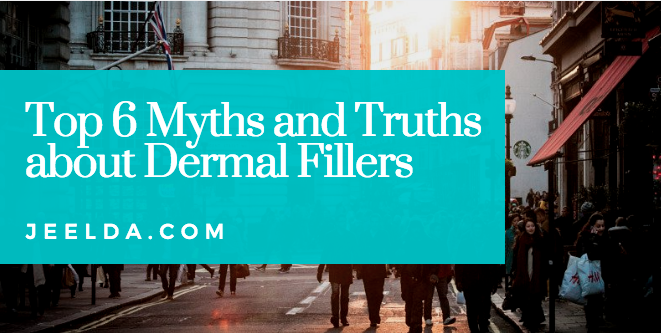 Top 6 Myths and Truths about Dermal Fillers : Below are the 6 myths and truths about dermal fillers you should be conscious of... Let's get started!!! Myth 1 - Lip filler injections can result in a “trout pout”. As a cosmetic doctor it is not unusual to hear “I don’t want to end up looking like Leslie Ash!” from many of my patients. “The Curse of Leslie Ash” is that it has given dermal fillers a very bad name. Many people have now been put off lip filler injections.Many stars such as Jessica Simpson and Pete Burns have over treated their lips so that they look like caricatures and this has not helped matters either. If you attend an experienced practitioner who understands that “less is more” then subtle lip enhancement procedures are possible. Myth 2 - Cheek injections can result in a “pillow face”. It is true that over correction with too much filler can result in an overly plumped out face. Carla Bruni, Madonna and Lindsay Lohan have been papped by the press with excessive cheek volume and an overly inflated appearance. It is important to keep a sense of proportion and not to over do it. However when these treatments are carried out by a properly trained practitioner with an astute eye this should not be the case. It is best to under treat and add more product at a later date rather than create a false fat looking face. Permanent fillers are better and more cost effective rather than having to return for treatment every 6-12 months. ‘Permanent fillers cause permanent problems”. As we age our facial structure changes with gravity and volume loss. A permanent filler injected in your 40’s may not look the same when you are in your 60’s. Therefore it is very important to ask your practitioner which product they plan to use in your face. It often surprises me how many people attend my clinic and have no idea which products have been injected in their faces in the past. Temporary products containing hyaluronic acid e.g. Restylane or Juvederm and semi-permanent products e.g. Radiesse are gold standard products. Do not be tempted by permanent fillers. Myth number 4 - Dermal filler injections are painful. Many products now contain lidocaine an anaesthetic to ensure your comfort during your treatment. In addition, newer techniques using cannulae which are needles without a sharp tip minimise discomfort. Another benefit of cannulae injections is reduced risk of bruising and downtime. Dermal fillers when injected correctly should not be visible on the surface. It is important that your cosmetic doctor, dermatologist or plastic surgeon understands the 3D concept when injecting dermal fillers to ensure a natural result. Myth number 6 - Dermal filler injections are not reversible. If you do not like the results achieved with your dermal filler treatment, rest assured. If you have had a treatment with hyaluronic acid e.g. Restylane and Juvederm hyaluronidase can dissolve your filler. Do your research on your practitioner and dermal filler product. Do not make your decision based on price alone. Do not regret messing with your looks!